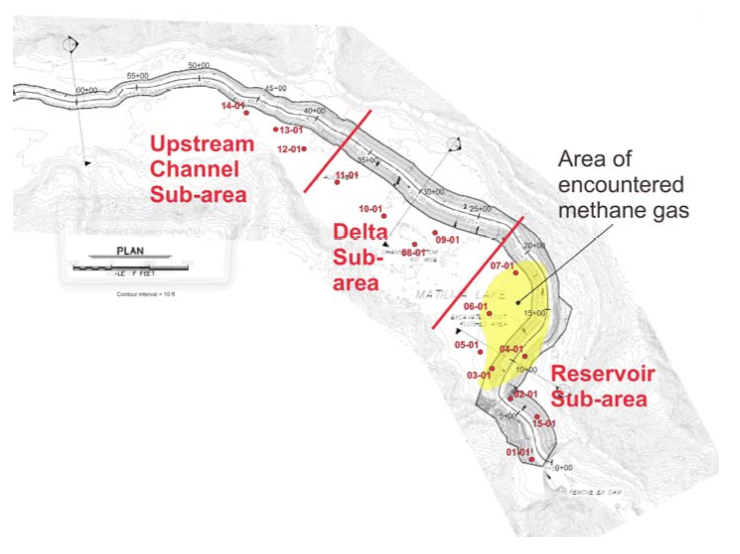 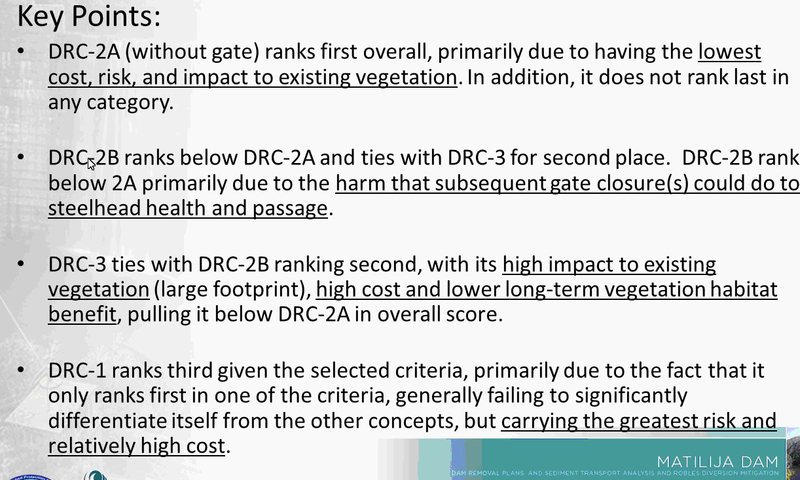 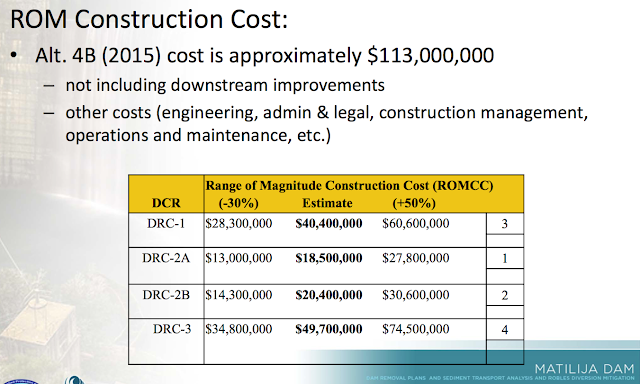 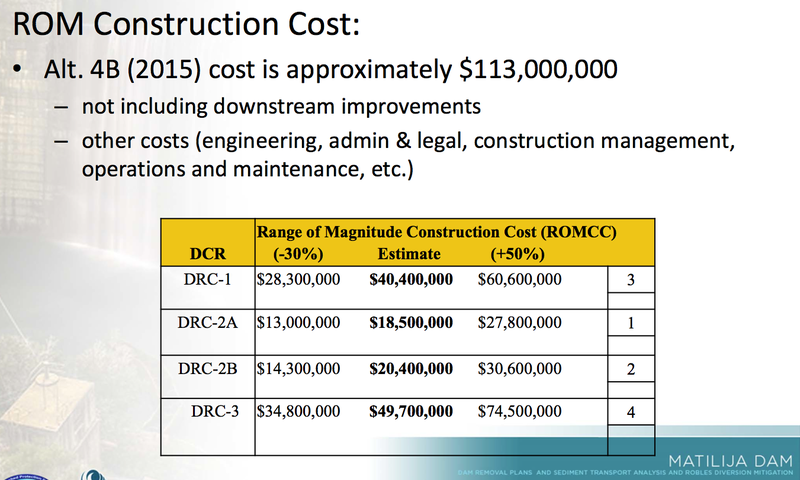 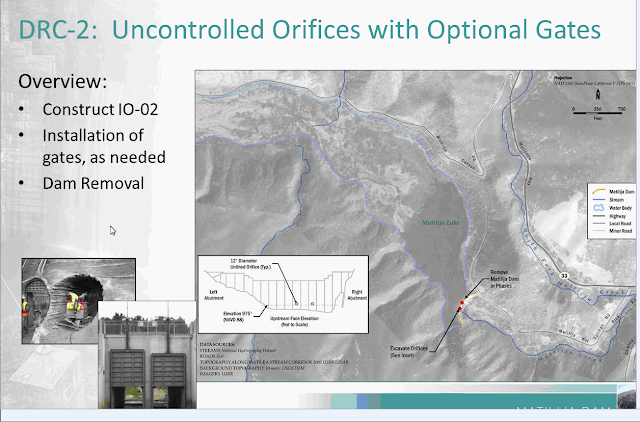 On March 17, 2016, the Matilija Dam "Design Oversight Group" reached consensus on Dam Removal Concept DRC-2 "Uncontrolled orifices with optional gates." 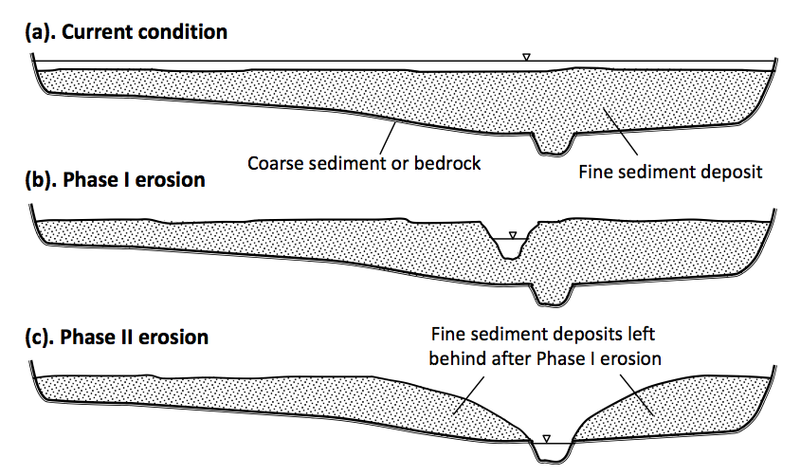 This method of releasing sediment through a low level outlet was demonstrated on Condit Dam in 2011. Consensus on the low level outlet approach to dam removal clears a path forward that greatly reduces the cost of the project. 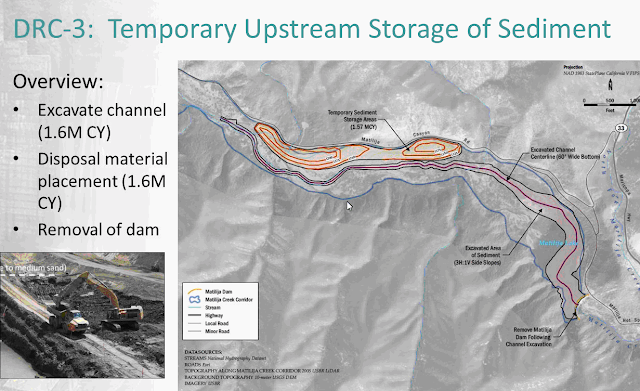 This decision is significant in that it marks a departure from almost 15 years of discussion in which sediment was seen as damaging to both local interests and the river, and in which the Corps of Engineers was perceived as the only path to funding the project. 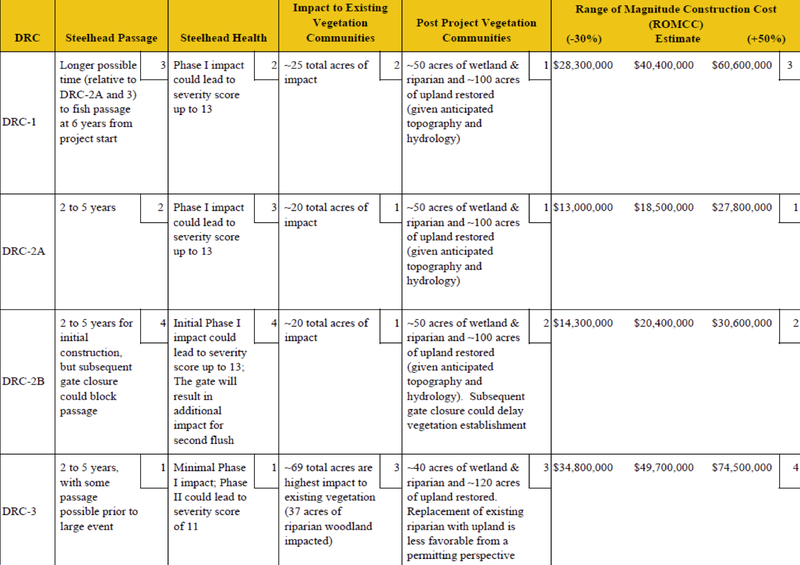 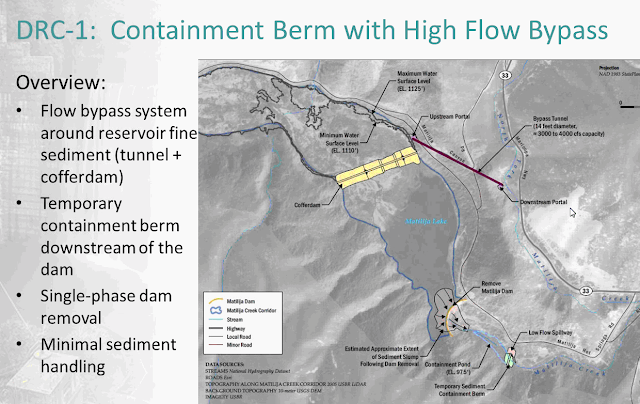 The next step is to identify and secure funding to complete the necessary engineering and environmental permitting to get the project "shovel ready." 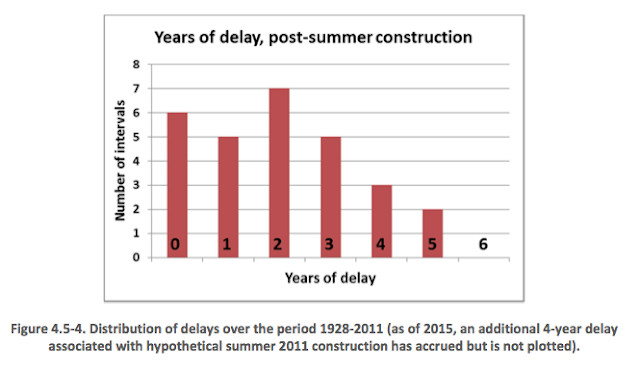 This work will likely take another couple of years. 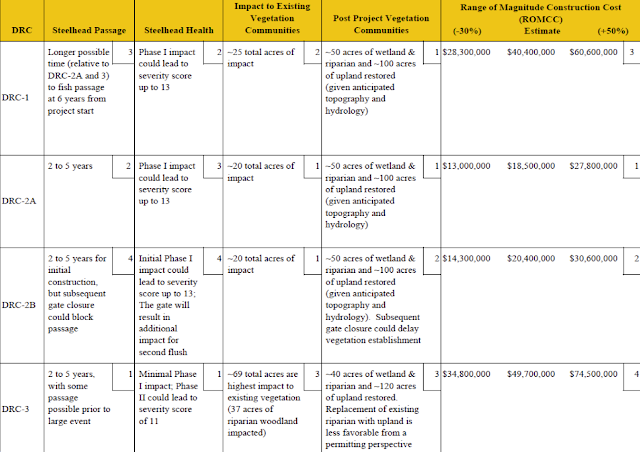 Several stakeholder organizations have formed a funding subcommittee to collaborate and take the steps necessary to remove the dam in a reasonable time frame. How would this affect steelhead and other aquatic life in the river? 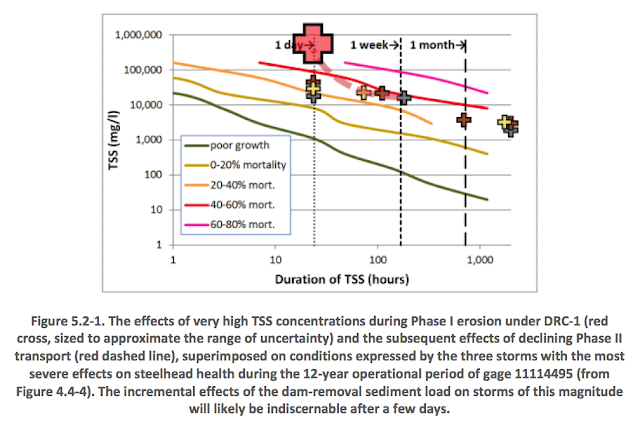 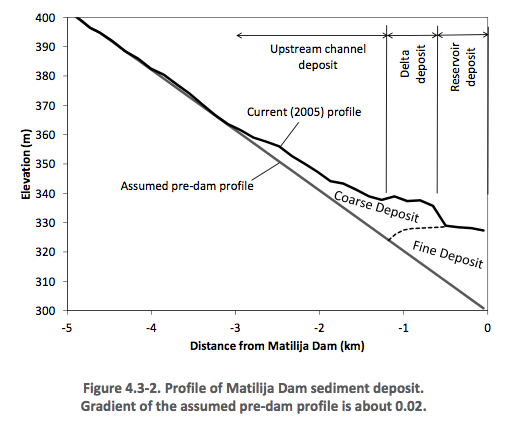 Erosion of sediments from behind the dam is now understood, from theory and practical experience, to occur in two phases as shown in this chart.